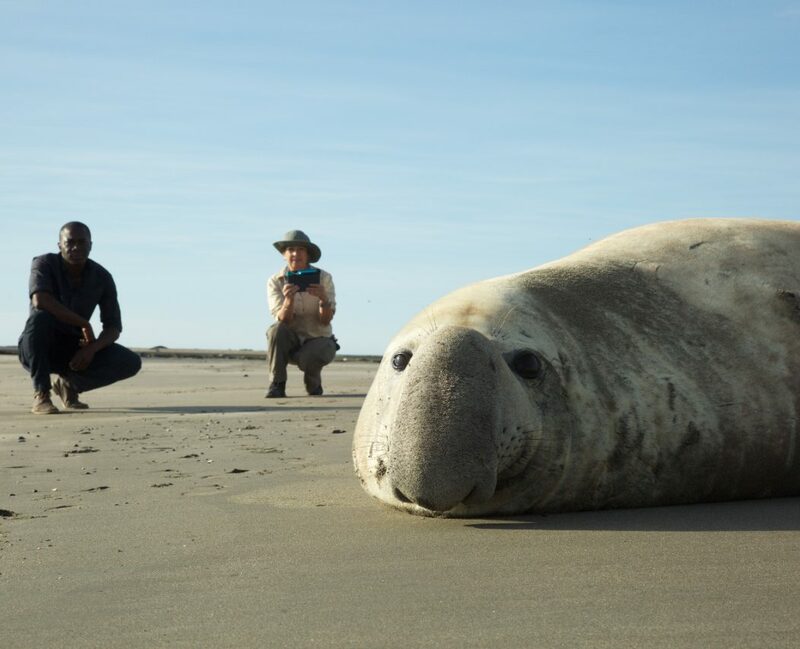 In November 2017, friend of Swoop Ruth Campbell and a small crew of wildlife documentary makers travelled to the remote Peninsula Valdes in search of southern elephant seals. 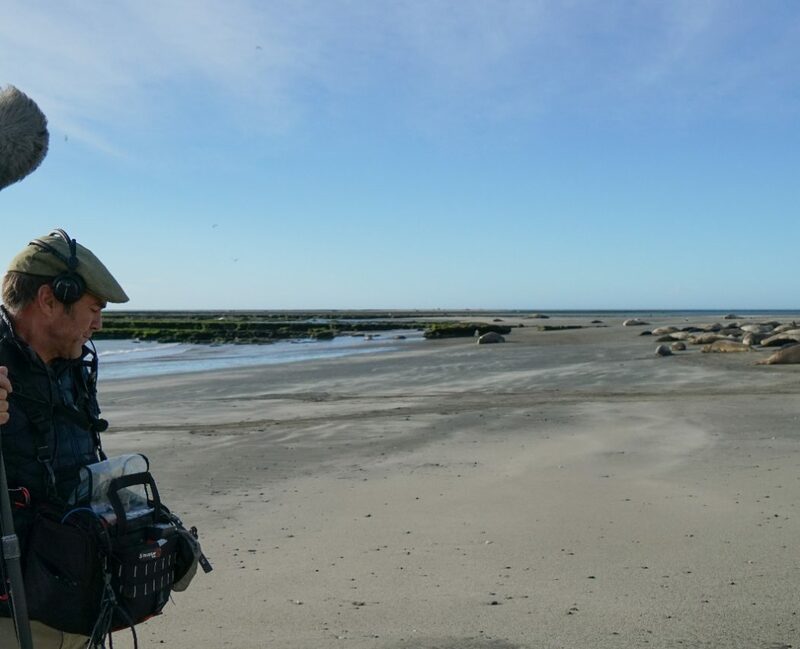 Here she recounts her experience filming alongside South America’s largest land mammal. Peninsula Valdes: 7542 miles from London, 5389 miles from LA, 623 miles from Buenos Aires. This small rocky outcrop, where the Argentinian Patagonia meets the South Atlantic Ocean, feels a thousand miles from anywhere. 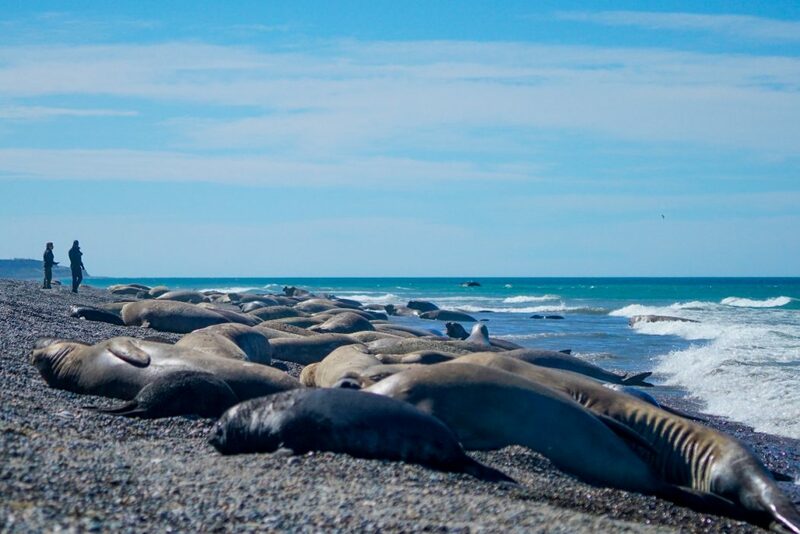 There’s only one road on and off the peninsula, and as a national park with only a few scattered settlements, you can see why this place is a refuge for the ocean birds and mammals who come ashore to breed. 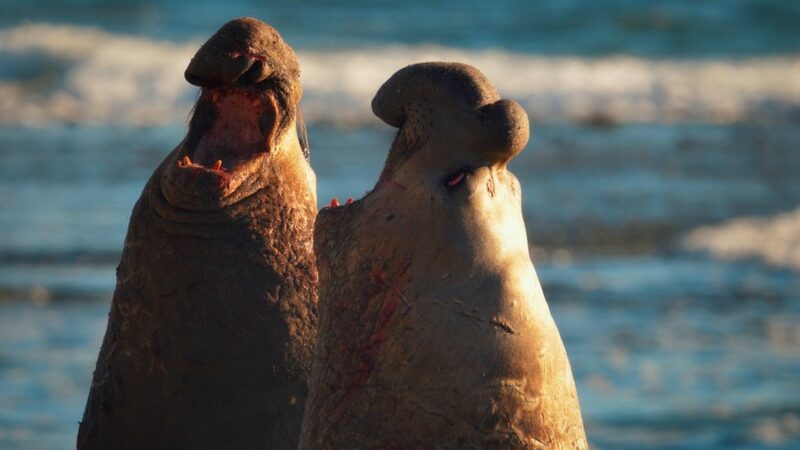 We’re here filming for a new natural history series – Big Beasts: Last of the Giants for Sky1. 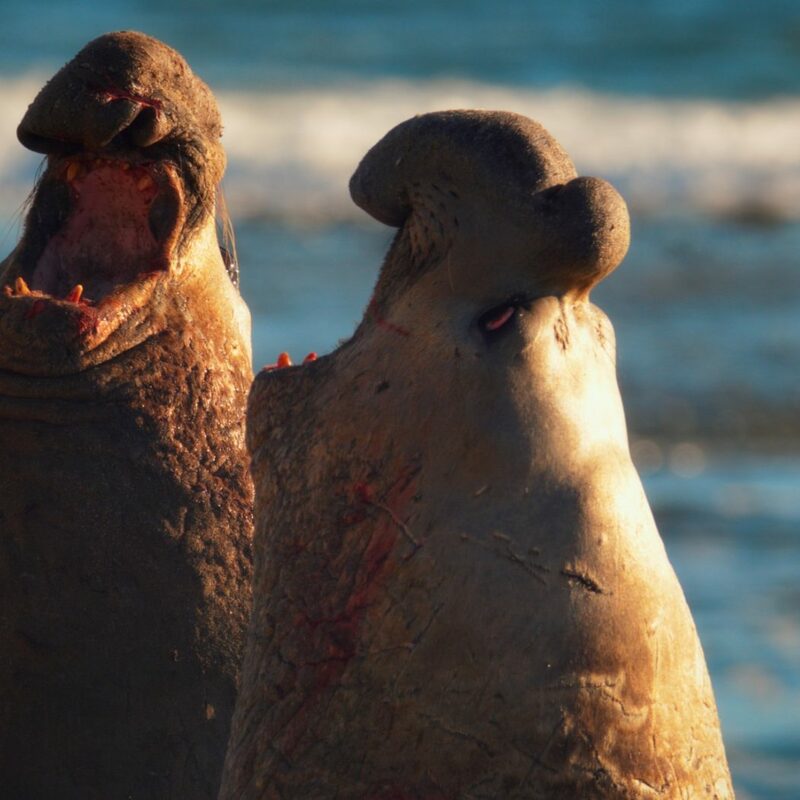 It’s November, springtime in the Southern hemisphere, and for the peninsula’s largest resident, mating is all that’s on its mind. 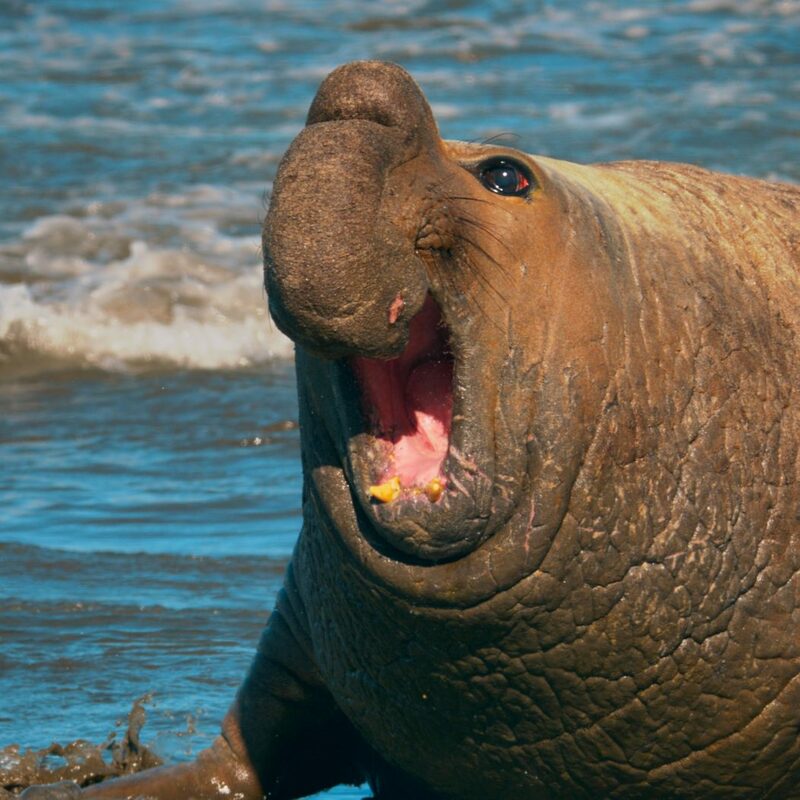 The southern elephant seal can reach six metres and weigh almost four tonnes, making it the continent’s biggest land mammal. 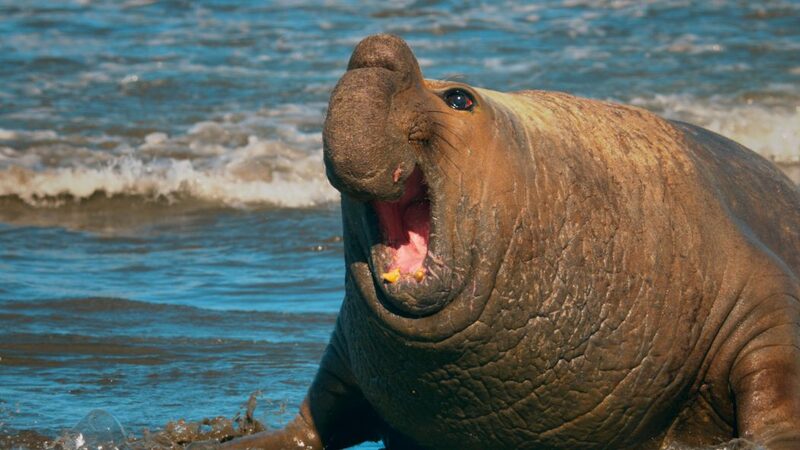 Males can weigh ten times more than females and are instantly recognisable by their proboscis, a huge flabby nose used to project their call down the beach. 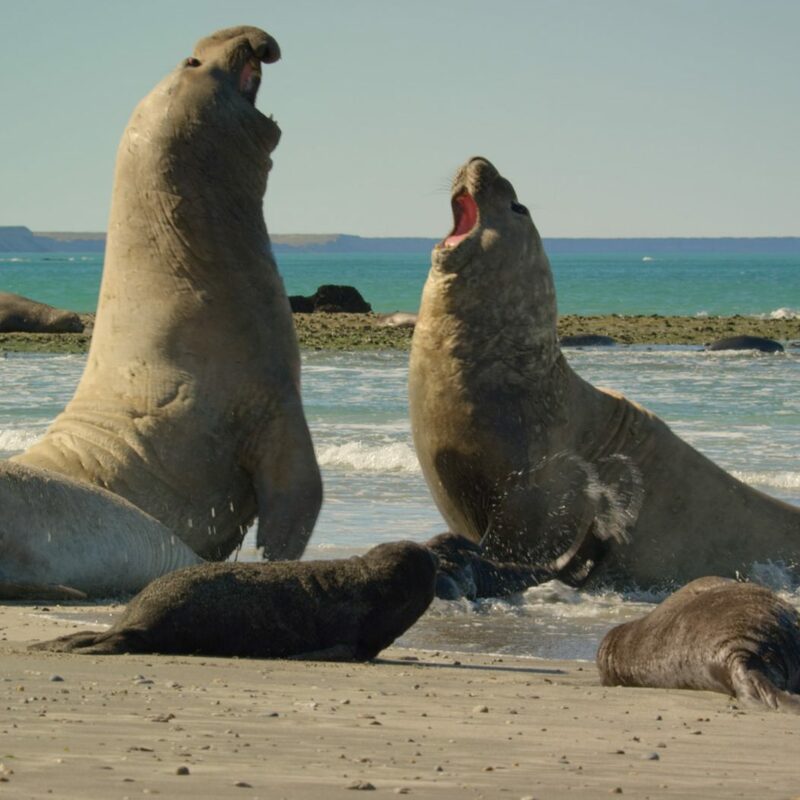 This call acts as a warning to other males that he is ready and willing to fight for the right to mate with his harem, the group of females living on this patch of beach. There are no agreed borders or boundaries between the harems and with the 12–hour wax and wane of the tide the goal posts are always moving. 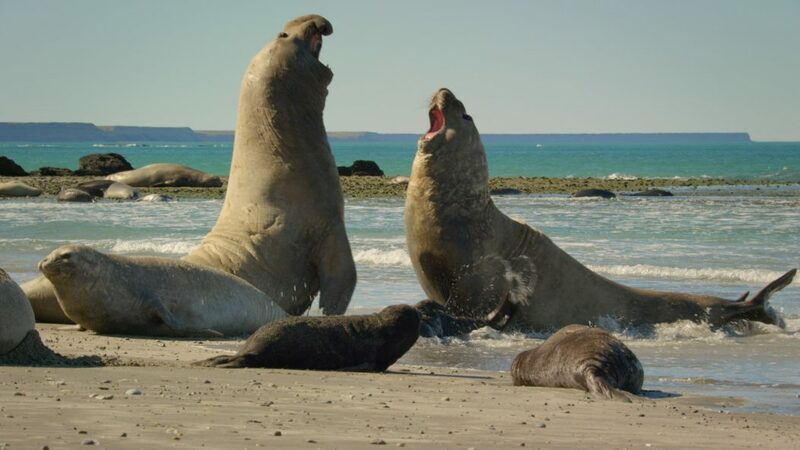 The males can never let their guard down; the threat of approaching competition comes constantly from both sides of the beach, while bachelors hover in the surf sizing up the competition – a cunning few even sneak in undetected and mate with females positioned near the water’s edge. 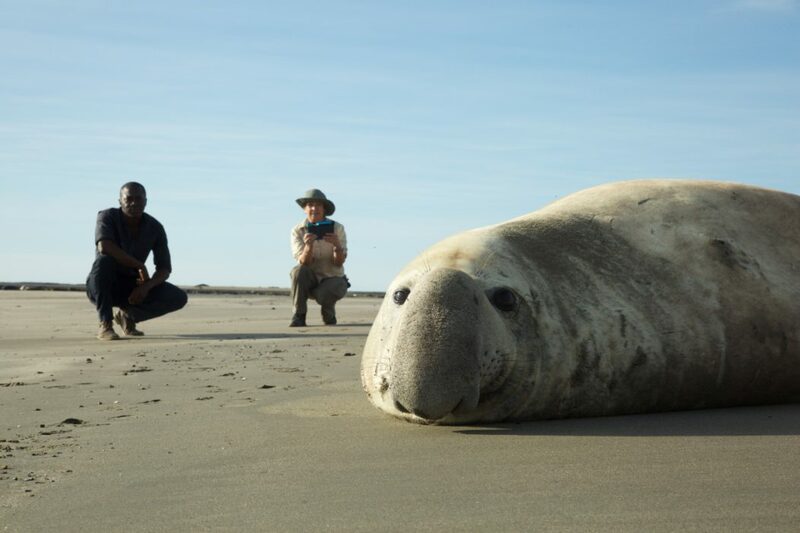 It’s the elephant seals that have brought us to Patagonia, a small crew of wildlife documentary makers hoping to document the battle of these deep-sea divers. Every shoot has its challenges but, on arrival, the hostility of this coastline becomes apparent. The howling winds carry the beach master’s bellows from a cove at the bottom of a steep sand cliff – scaling this is going to be tricky. Even with clever packing, we’re going to need at least two trips to get the cameras down there. Restricted by the tide times and daylight hours our window of opportunity is already very limited. I quickly realise that no number of windbreakers and thermos flasks full of coffee are going to make this comfortable, but the real issue is the cameras and lenses. If there’s one thing that will kill a camera, it’s sand, and the weather systems coming off the Atlantic are blasting us with the stuff. We only have one option: twice a day, we venture back to the old lighthouse where we’re staying, to clean the kit and make a copy of the footage, clambering back down to the beach in time to catch the tide turn. After days watching fights in the distance and young males postulating in the surf, we’re finally in luck and a large mature male is hovering. 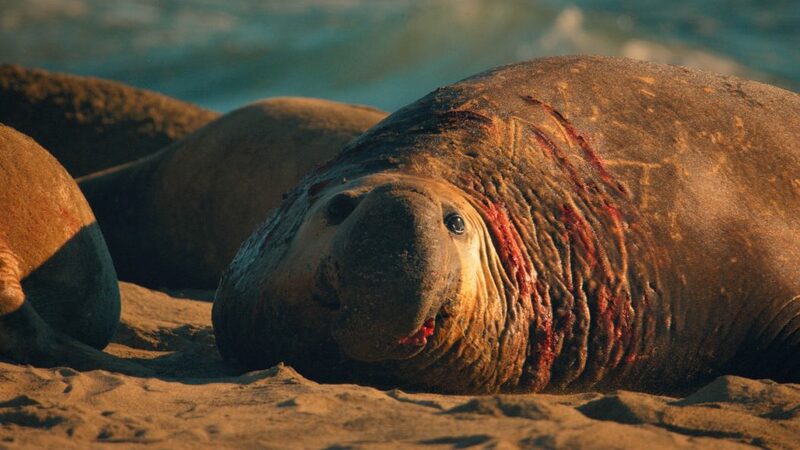 This guy is undeterred by protests and threatening calls and he continues his journey onto the sand towards the harem. 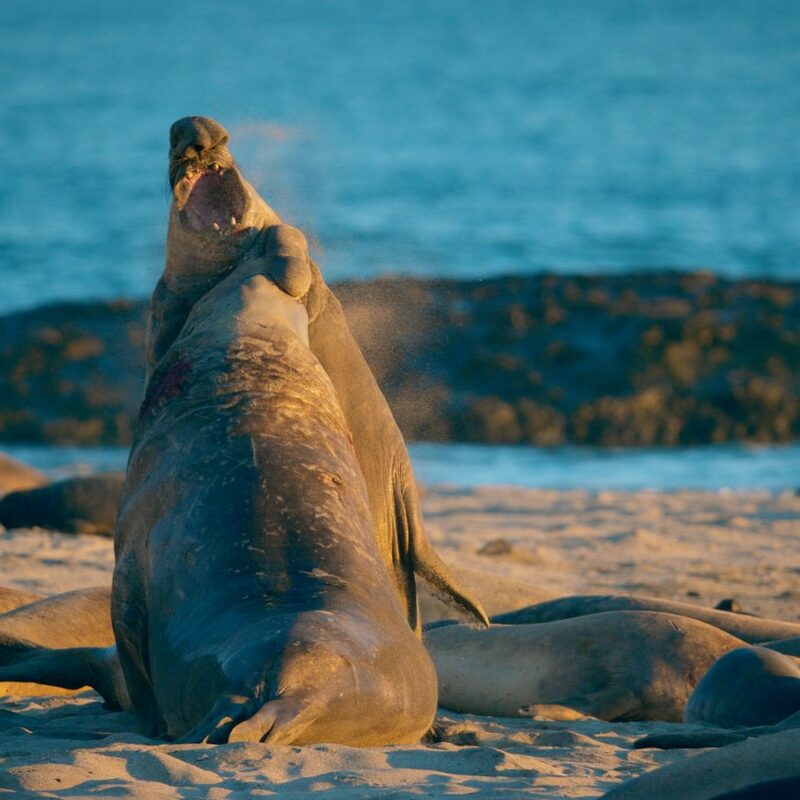 The resident beach master, whom we’ve watched unchallenged for days, suddenly launches into action – a tonne of blubber bounds across the beach, while mothers desperately attempt to move their fragile pups out of the warpath. The bodies collide. 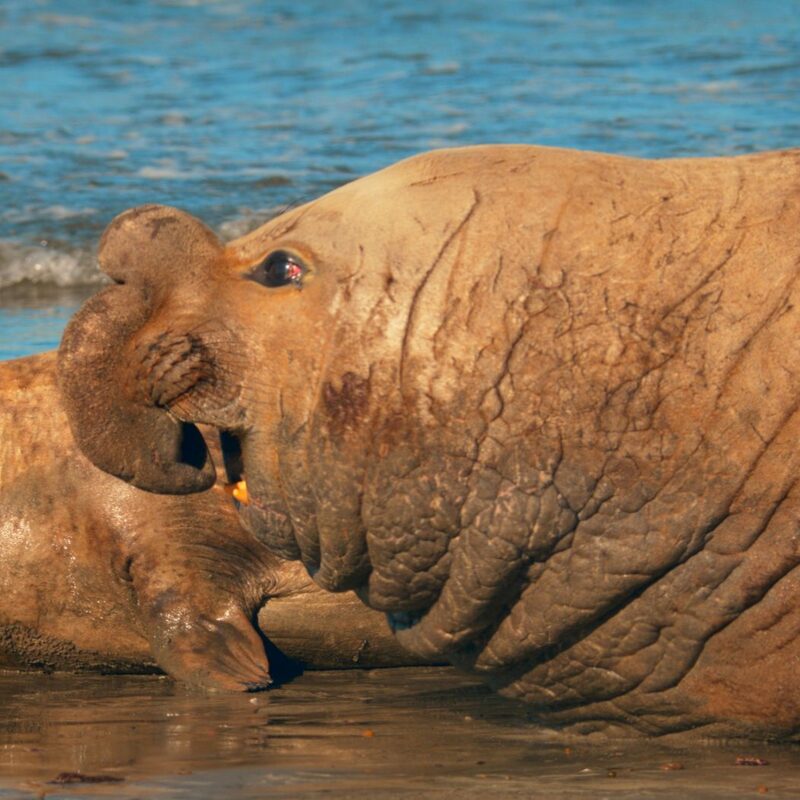 The sound, the smells, the sheer size of these animals is astonishing. Watching these alien creatures in this alien landscape, miles from anywhere, is unforgettable. After an epic battle, the challenger backs down, leaving the beach master undefeated and triumphant… for now. 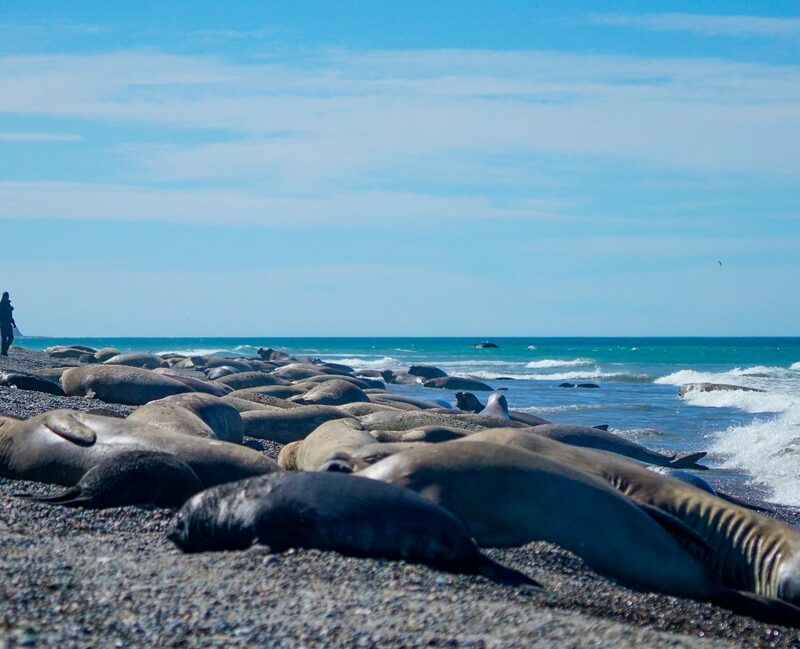 This unforgiving corner of South America leaves you in awe of the sea creatures that survive here. 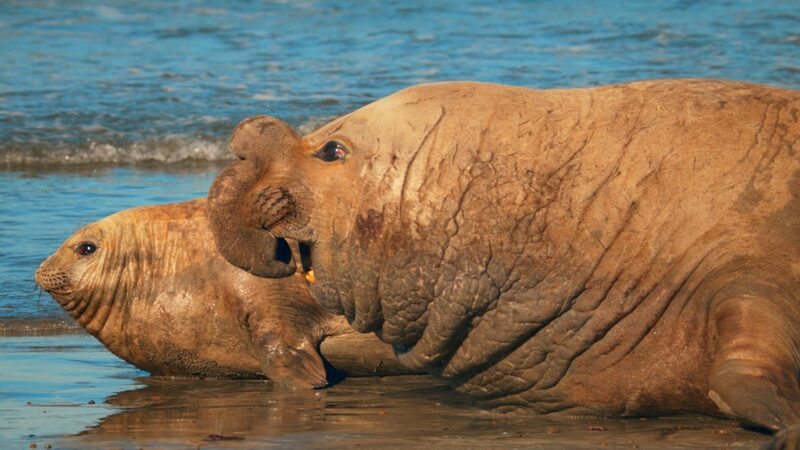 For elephant seals, with their specialised bodies designed for hunting squid in the dark depths, life is hard: competition is steep, and stakes are high. 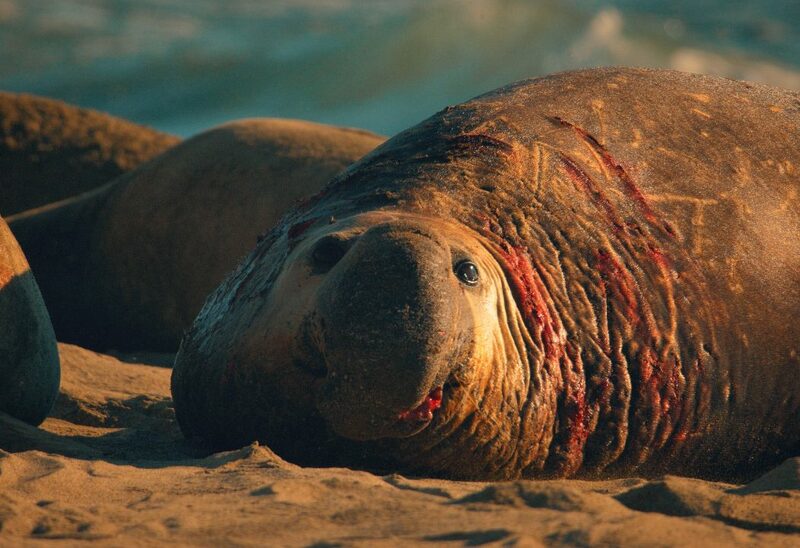 Only one in ten will ever get the chance to mate, and some, so committed to the cause, will die of exhaustion before being able to return to the sea to feed. Today, the challenges of living on dry land and competing with rivals are not the only problems they face. 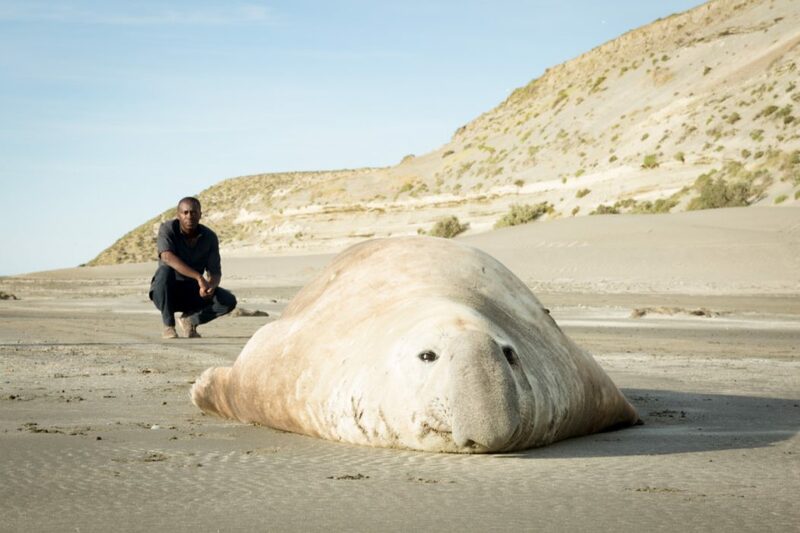 Changing climate and dwindling ocean stocks make finding enough food to survive even harder for this big beast. Sitting on the shore as the sun sets, you can’t help but notice the lights of fishing boats on the horizon, and wonder what the future holds for these extraordinary animals. 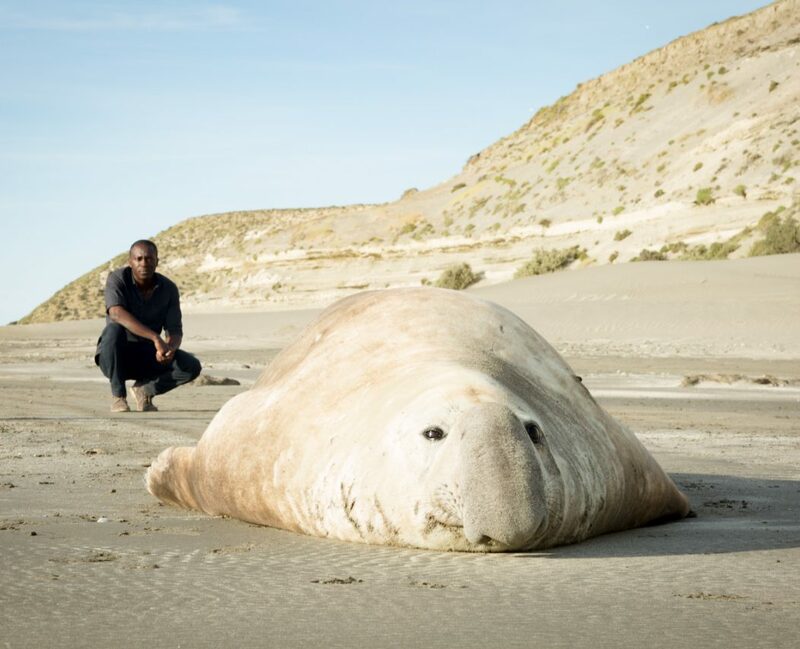 To find out more about the southern elephant seal of Peninsula Valdes, tune in to Big Beasts: Last of the Giants on Sky1, Wednesday June 13th at 9pm. 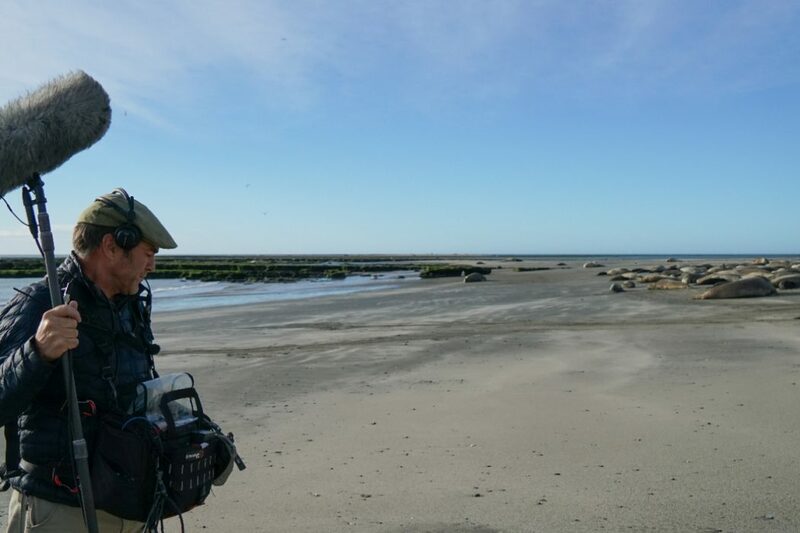 Ruth is an Assistant Producer and Director in science and wildlife television. She started her career as an apprentice in the BBC Natural History Unit where she worked on shows like Deadly 60 and Springwatch. After leaving the BBC, Ruth went on to work for a variety of other wildlife, science and adventure broadcasters around the world, including PBS, ITV and Discovery, before joining the team at Offspring Films in Bristol, UK. 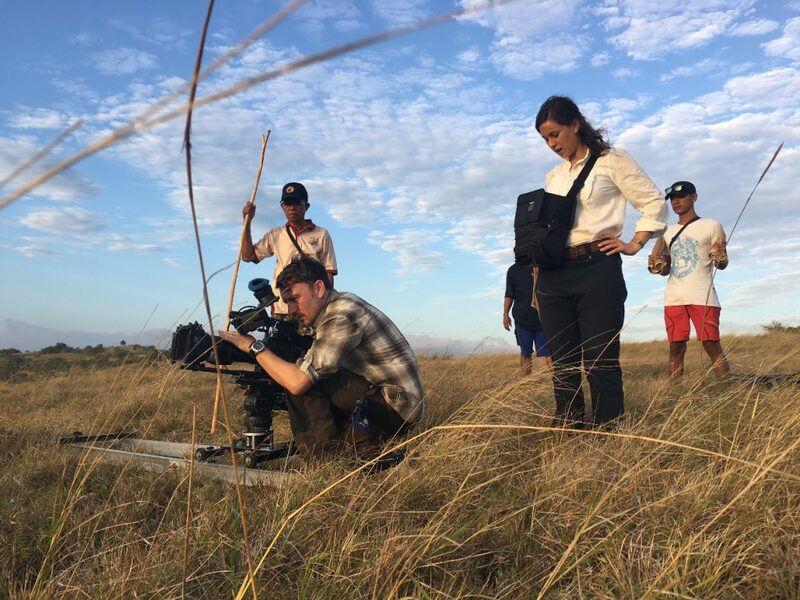 As well as the intrepid travels and fieldwork, Ruth, along with a dedicated team of coordinators and producers, carefully manages detailed schedules, logistics and research. 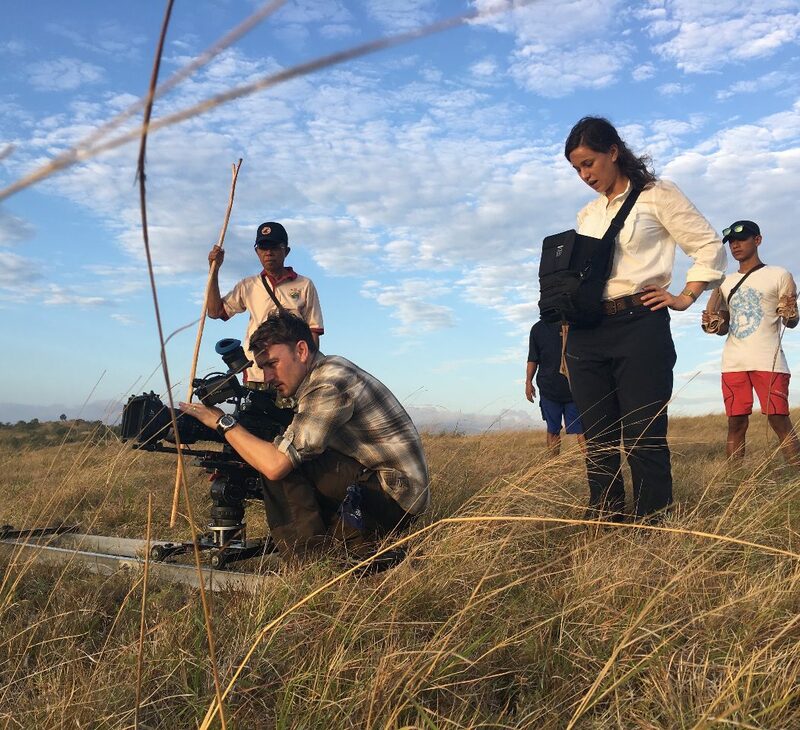 With careful planning and help from specialist researchers and local experts, documentary teams give themselves the best chance of bringing amazing stories to TV screens. 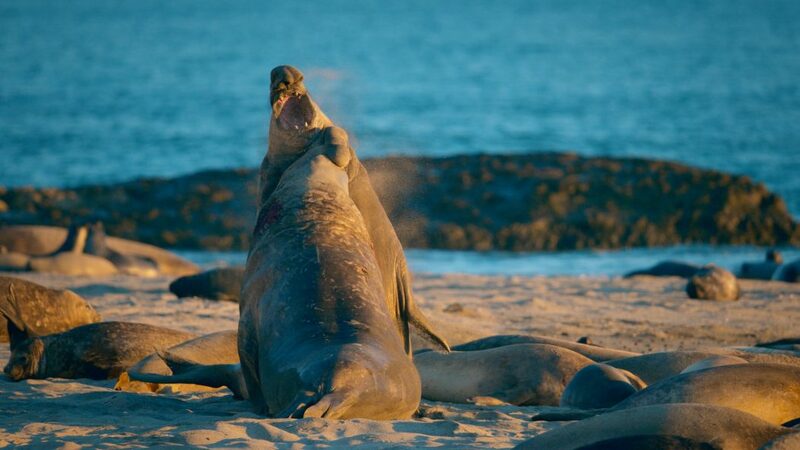 Big Beasts: Last of the Giants is just the latest Offspring Films extraordinary and beautiful wildlife programmes.